Vox Cantab is lucky to work with a series of talented guest directors. Oliver, Patrick, and Sarah are introduced below. Oliver Hancock is Director of Music at the Collegiate Church of St Mary, Warwick, where he is responsible for the musical life of the Church, training and conducting the choirs of boys, girls, and men in services and concerts both in Warwick and further afield. He is the first also to hold the post of Choral Director at King’s High School, Warwick’s independent girls’ school. 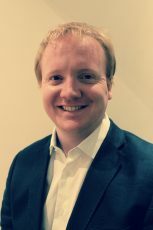 Oliver was Organ Scholar at Jesus College, Oxford, where he read for a degree in Music, and in 2010 he was among the first cohort of students to take the new MMus degree in Choral Studies at the University of Cambridge. From 2008 to 2012, he held the post of Assistant Organist to Ely Cathedral Girls’ Choir, and for the academic year 2011-12 was also Graduate Organ Scholar at Selwyn College, Cambridge. 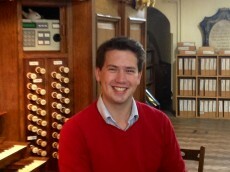 As Sub-Organist at Portsmouth Cathedral until Christmas Day 2017, Oliver accompanied daily services and regularly conducted the cathedral choirs in services and concerts as well as undertaking outreach work across the diocese, alongside the position of School Organist at The Portsmouth Grammar School. He has toured much of mainland Europe and the East coast of the USA, broadcast live on BBC Radios 3 and 4, and played numerous recitals throughout the UK and further afield – most recently at St Paul’s and Westminster Cathedrals, Westminster Abbey, Tallinn Cathedral, St Paul’s Anglican Cathedral in Valletta, Malta, and in Kerpen, Germany. He is a Fellow of the Royal College of Organists and an Examiner for the ABRSM. Oliver is the Founder and Director of The Nelson Consort, an eight-part choir specialising in a capella choral music (www.nelsonconsort.co.uk). Patrick Allies is Artistic Director of Siglo de Oro, Musical Director of Khoros, Director of West Sussex Youth Choir, and Director of Music at All Saints’, Putney. Patrick began his musical education as a chorister at the Temple Church in London, under Stephen Layton. He sang in Gloucester Cathedral Choir before taking up a Choral Scholarship to study Music at King’s College London, graduating in 2010 with First-Class Honours. 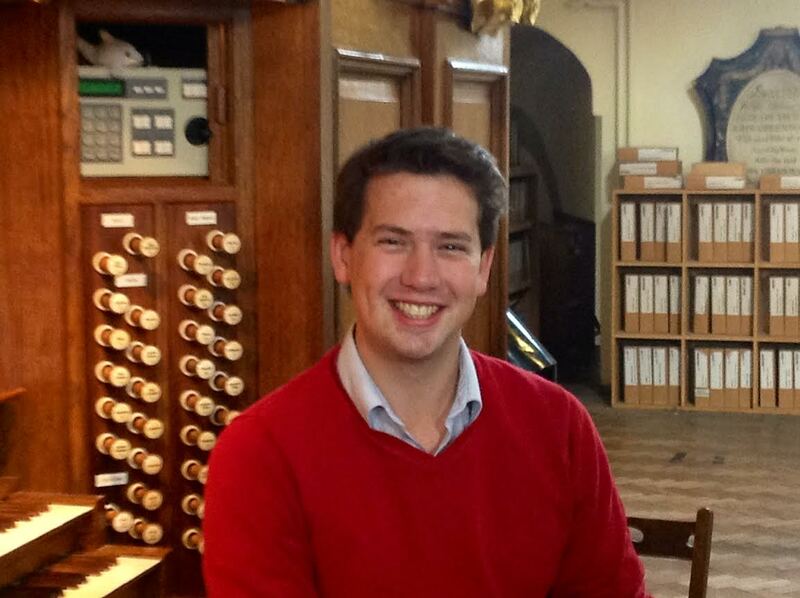 Patrick went on to post-graduate study at the University of Cambridge, where he sang in Jesus College Choir. Patrick is in demand as workshop leader, in particular on the subject of the performance of Renaissance polyphony, and has taken up invitations to give sessions for the Thames Valley, Eastern, and South-West Early Music Forums. He has also works regularly as a writer on music, producing programme notes for the Gabrieli Consort and St John’s Smith Square. In 2017, Patrick was shortlisted for both the Nordic Choral Conducting Competition in Denmark, and the 3rd Juozas Naujalis International Competition for Choral Conductors in Lithuania. ensemble Singscape, and currently guest conducts the University of Warwick Chamber Choir. She is chorusmaster of the newly-formed Dubai Opera Festival Chorus which made its debut appearance at the BBC Proms Dubai singing Beethoven’s 9 th Symphony in March. Choral Directors which she helped to found. 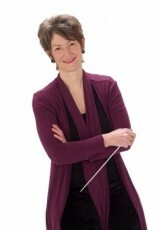 She featured as conducting mentor to actor Bradley Walsh on BBC2’s popular TV series Maestro and is choral conducting tutor for the Royal Philharmonic Society’s women conductors programme.